Kosher entrées made for the food service industry. Our meals are low cost; quick and easy to prepare in as little as five minutes using only hot water; and are easy to store with 500 entrées per cubic foot. Also, because of our products’ two-year shelf life, our entrées are perfect for occasional use and emergency preparedness. 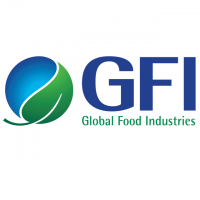 To learn why the biggest food service companies have relied on GFI for more than 30-years for their kosher programs and other specialty diets, please call us 800-225-4152.